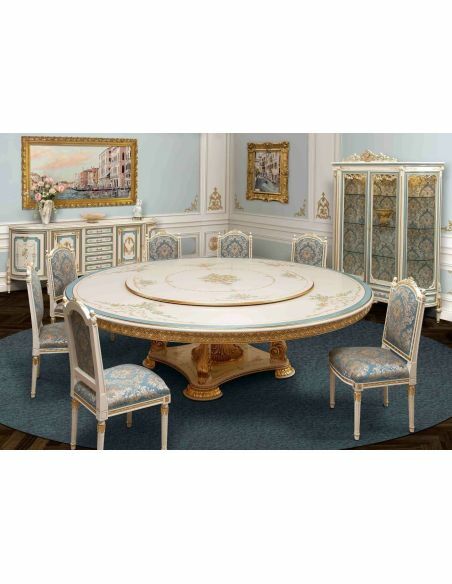 Venetian hand painted round dining set. 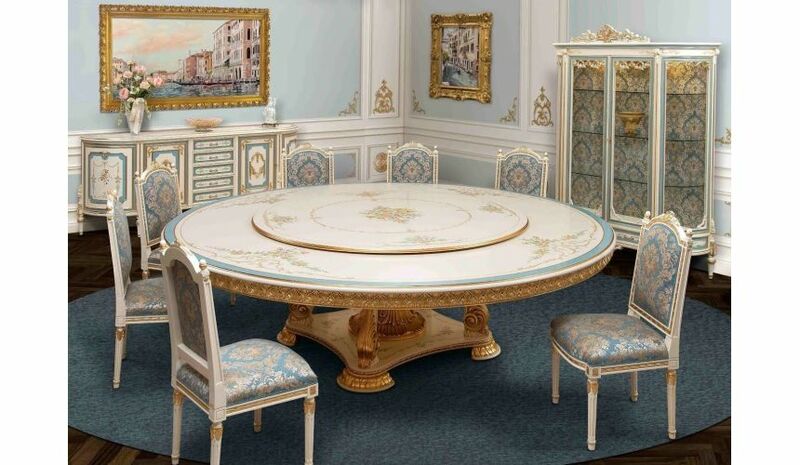 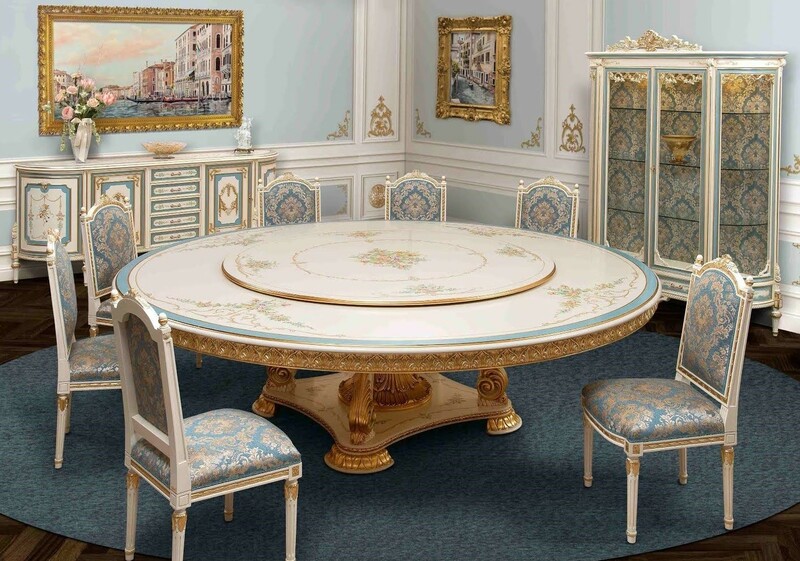 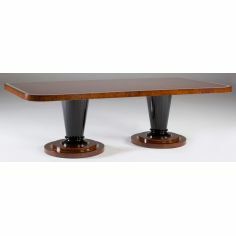 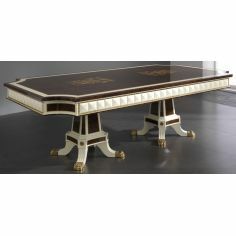 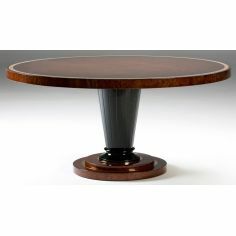 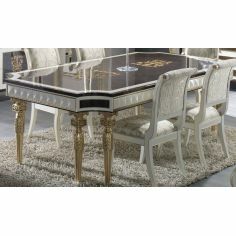 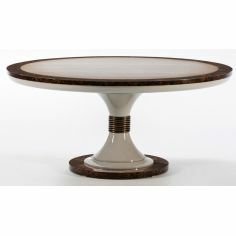 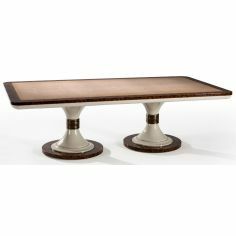 Home > Shop by Room>DINING ROOM FURNITURE>Dining Tables>Venetian hand painted round dining set. 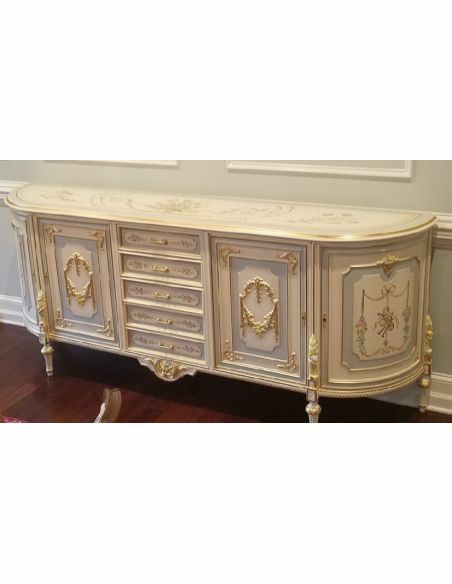 Imported from Europe many sizes and matching items available. 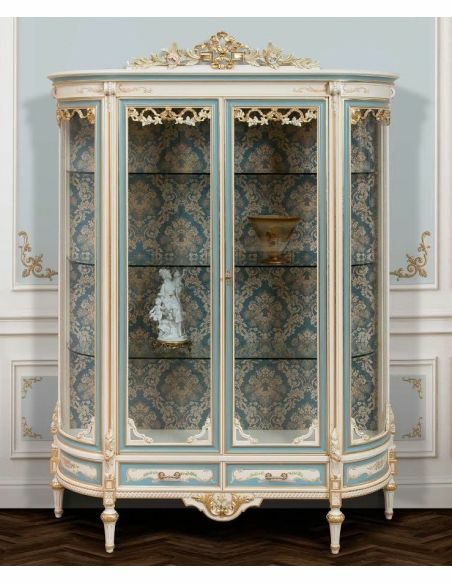 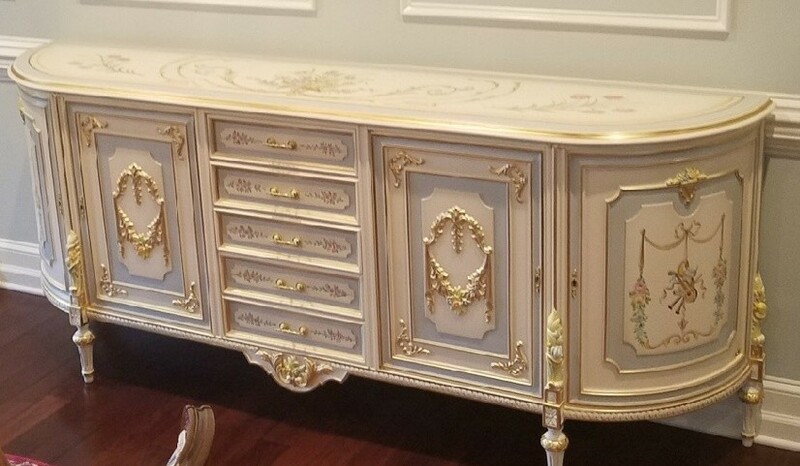 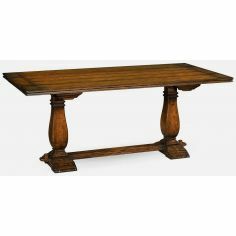 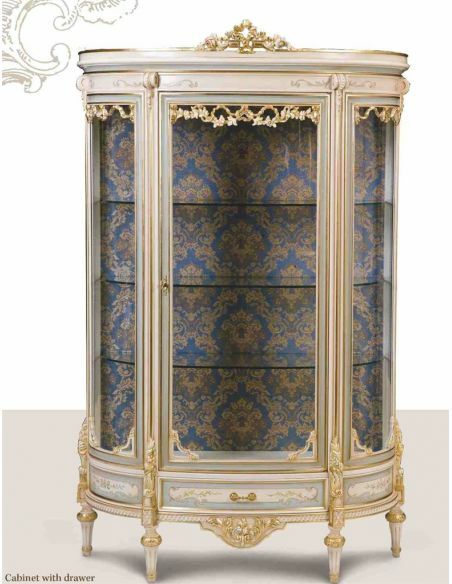 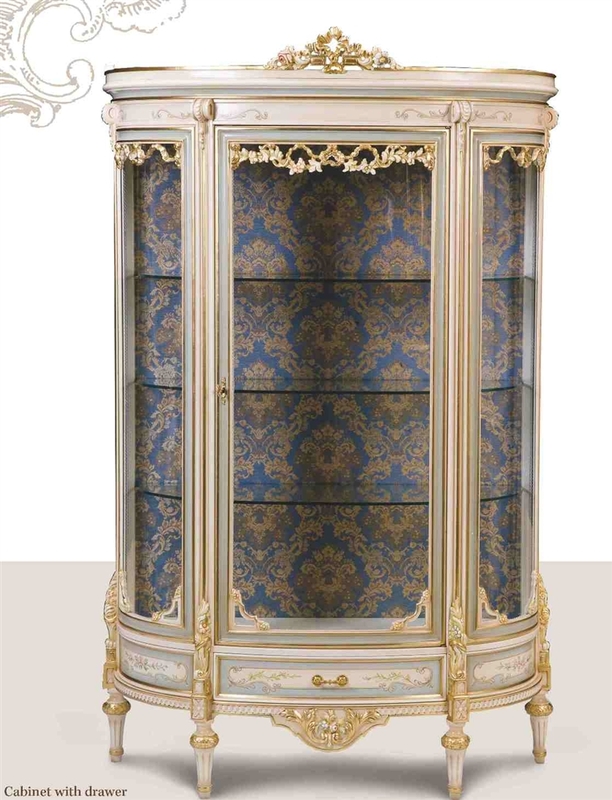 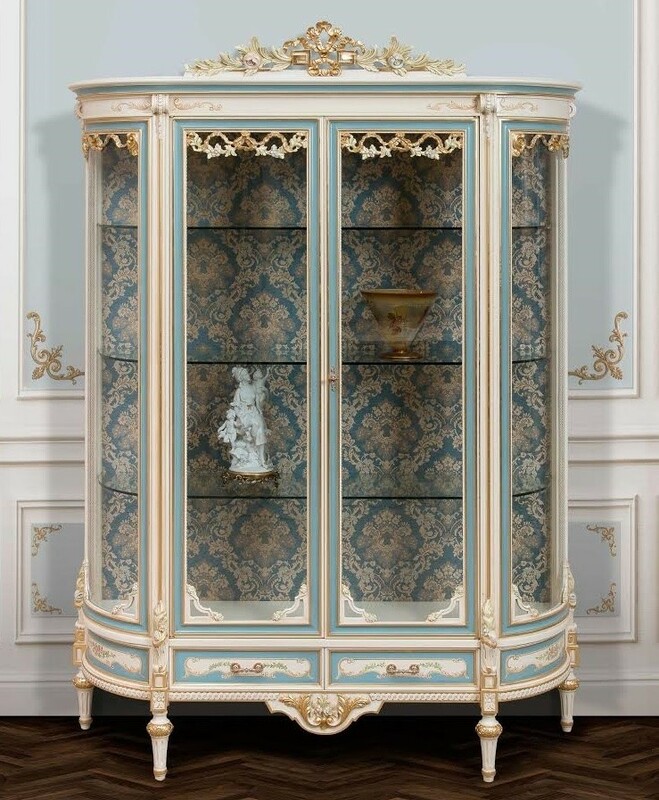 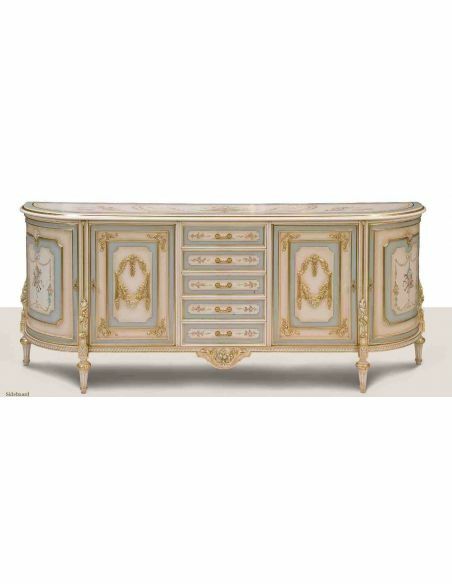 Luxury handmade furniture.